On Wednesday night (August 2nd), BBC 1’s Watchdog investigated the UK’s estimated £1bn per annum secondary ticketing market – raising yet more concerns about business practices in this sector, and in particular those of the Swiss-based company Viagogo. The programme included interviews with distressed Viagogo customers who believe they have been mis-sold tickets via the site and are now struggling to gain refunds. 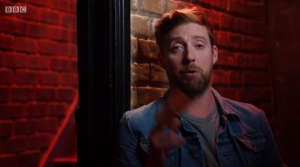 Watchdog also highlighted the company’s aggressive marketing techniques and, crucially, raised important clarifications from National Trading Standards that Viagogo’s interpretation of UK consumer law is “incorrect”. The findings are just the latest evidence of a market that is no longer fit for purpose, with Viagogo and its competitors – StubHub, Get Me In! and Seatwave – providing the perfect environment for a network of professional ticket touts to prosper at the expense of genuine fans. Launching in July 2016 to campaign against this industrial-scale of online ticket touting, FanFair Alliance has grown increasingly alarmed by the way in which music consumers are systematically misled by these under-regulated platforms. Recent research by Which? found that approximately half of people who purchased tickets on these sites believed that they were buying from the official ticket seller. 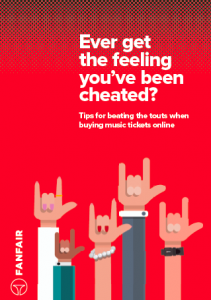 As a result, FanFair has teamed up with Claire Turnham, founder of the Victim of Viagogo Facebook Group, to produce some free and comprehensive guidance to assist consumers seeking refunds from secondary ticketing sites. The guidance is available now from the FanFair Alliance website, having been advocated by promoters at Kilimanjaro and DHP during the ticket sale for Ed Sheeran’s recently-announced 2018 stadium tour. During this period, the advice has helped secure chargebacks totalling more than £45,000. In the 6 months since it launched, Victim of Viagogo’s #fairgogo campaign has helped return over £100,000 to disgruntled Viagogo customers in the form of chargebacks and refunds. “A properly-functioning secondary market should work in the interests of consumers, and enable those who genuinely need to resell a ticket to do so at the price they paid for it. However, as was highlighted by BBC1’s Watchdog, the business model promoted by Viagogo looks more about profiteering at the audiences’ expense – persistently masquerading as an “official site” in its online advertising, employing high-pressure sales techniques and potentially breaching consumer law. Politicians campaigning for reform in the secondary ticketing market have also voiced their support. Earlier this year, FanFair published a free online guide to buying tickets with endorsement from artists including Mumford & Sons, Iron Maiden, Royal Blood, Pixies, Amy Macdonald, Mark Knopfler and Wolf Alice. This can be downloaded here. Over the past 12 months, the secondary ticketing market has come under significant political and regulatory scrutiny – with the Culture, Media & Sport Select Committee hosting two separate evidence sessions on “ticket abuse” (the second of which Viagogo failed to attend) and Government passing new legislation to criminalise the use of specialised software to bulk-buy tickets online, as well as strengthening existing consumer law and providing enforcement resources for National Trading Standards. A Competitions & Markets Authority enforcement investigation into the secondary ticketing market is still ongoing.